In the last part we talked about the first steps for laser die making. In this article, we will discuss about steel rule blade installation and bridging making etc. Steel rule die is bent by steel rule bending machine. There are some famous brand of steel rule bending machine. After the die is completed, the steel rule blade and the creasing line should be installed according to the relative positions of the die-cut cartons. In order to ensure the quality of die-cutting, the quality of the die-cutting knife and the creasing line should be selected first. Let's introduce the steel rule blade first. These steel rule blade, listed as below, describes in detail the specific properties and uses of various standard die cutters. Die cutting knife hardness divided by soft knife and hardware knife points, soft knife does not mean that the blade is soft, but the knife body of the cutting knife uses a lower hardness HRC35, in the soft knife edge part of the quenching process to Hardness HRC56, soft knife line as a whole can be bent out of a small arc and radius with steel rule die bending machine; hardware knife refers to the overall hardened cutting knife to HRC45, blade body as a whole has a higher strength. Steel rule blade, according to the shape of the blade, can be commonly divided into standard knife and double peak knife. In the case of die-cutting paper boards with a thickness greater than 0.5 mm, the use of double-edge cutters is recommended. This cutter has two inclined cutters, which can effectively reduce the negative effects of the two convex surfaces. And the edge is extremely sharp and easy to cut into cardboard. When selecting a high-quality steel rule die, you should pay attention to the horizontal or vertical rule of the blade. The cutter with horizontal stripes is more effective and durable for die-cutting paper, and it has higher stability and precision, and it is not easy to crack after bending. . The creasing line blade is used to complete the creasing work of the carton folding at the die-cut plate. The thickness of the creasing blade is commonly used 0.7mm, 1.42mm, 2.13mm, etc. The height of the creasing blade is 22-23.8mm. The selection principle of the creasing blade is: the thickness of the creasing blade is greater than the thickness of the paper. The height of the creasing blade is equal to the height of the die cutter minus the thickness of the paper minus 0.05-0.1 mm. 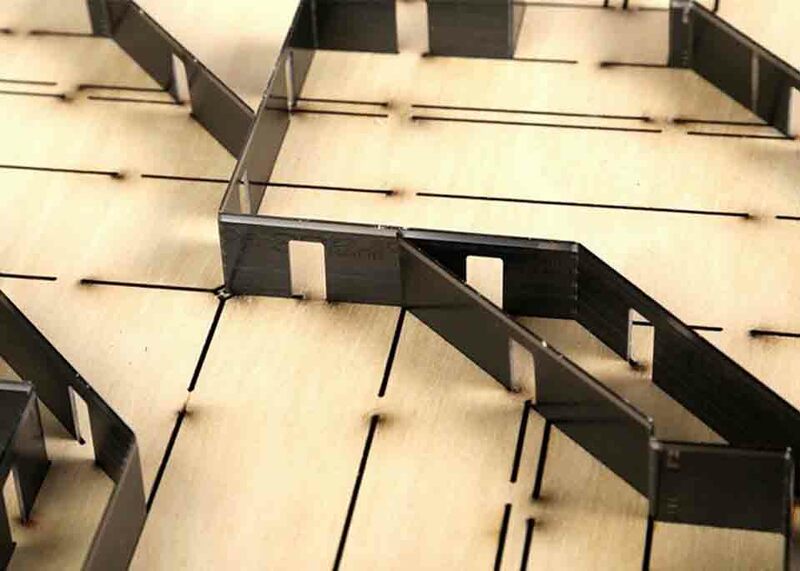 In die making, the open connection point is an indispensable process for bridging, and the connection takes up a small opening of a certain width at the cutting edge of the die cutter. 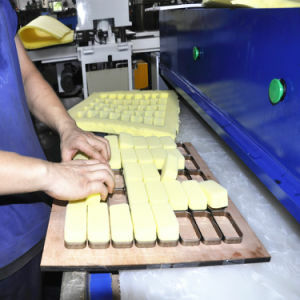 During the process of carton die cutting, the carton and the waste edge of the part are made. In places where the die cutting is still connected together, the die-cut cartons and waste edges do not spread so that the next step of paper feeding and delivery can be smooth. Open bridging point should use special equipment: knife line punching machine, use grinding wheel to open the connection point. Do not use a hammer and tweezers to open the connecting point, otherwise it will damage the knife line and angle, and easy to produce glitches in the connecting part . The width of the bridging point can be 0.3, 0.4, 0.5, 0.6, 0.8, 1.0mm, etc. The normal size is usually 0.4mm. The bridging point is usually made in a hidden place that is not visible to the molded product. The bridging point should be as small as possible after the molding, so as not to affect the appearance of the finished box. After the steel rule blade is installed, in order to prevent the die-cutting knife and the creasing blade from sticking to the paper during die-cutting and creasing, and to make sure the paper can be smoothly fed during die-cutting, and the elastic die-cutting tape should be pasted on both sides of the cut-line. . The role of die-cut self-adhesive strips in die-cutting is very important. It directly affects the speed and quality of die-cutting. In different die-cutting machines, it is very important to select different hardness, size and shape of die-cut tapes according to the speed of die-cutting, die-cutting jobs and related conditions. Die-cutting rubber strips are divided into standard rubber strips, hard strips, and special hard strips according to their hardness. Die-cut strips need different strips of different hardness depending on the bonding location. When the die-cut tape is used in die-cutting, it will be compressed and deformed. If the die-cut tape is too close to the knife line, it will cause lateral force when the tape is pressed, which will easily damage the point of the paper or the paper line. During the cutting process, the edge of the paper is pulled and the cutting effect is affected. If the distance from the knife is too far, the effect of preventing the cardboard from sticking will not be achieved. The ideal distance of the die cut strip from the knife line is between 1-2mm. After the die cutting die is finished. Firstly, cutting die should be placed on the die cutting machine for test cutting. 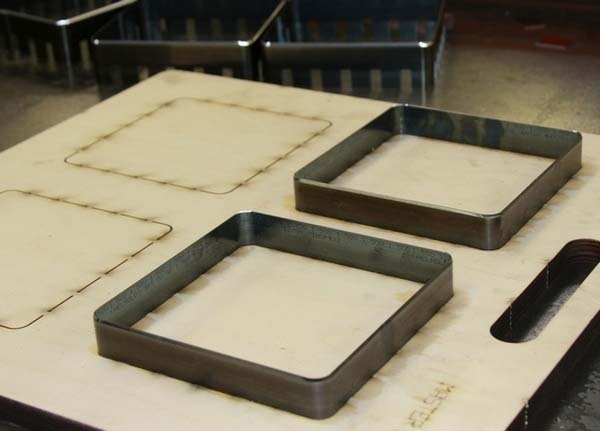 When the test-cutting is performed, the test-cutting sample is partially normal, and when some part is not cut, some base plate should be placed in the problem area. The base plate is glued to the bottom of the die plate with 0.05mm thick backing paper to compensate the die cutter highly. When there are still individual cutting lines after the partial backing plate is not cut through, the positional backing plate is to be used. The positional backing plate is used to make the height of the cut line directly adhered to the bottom of the die cutter with a narrow backing paper.